It was at the young age of 14 that Dr. Tonya first learned about the chiropractic profession. She loved the idea that chiropractic care was natural and helped people stay healthy. Dr. Tonya attended Canadian Memorial Chiropractic College. Her approach to chiropractic care has evolved since then, and she focuses heavily on working with babies, children and pregnant women. She’s attended numerous courses concentrating on these areas and has completed a 250 hour program offered by the International Chiropractic Pediatric Association. Her family-based training also includes a certification in the Webster Technique. 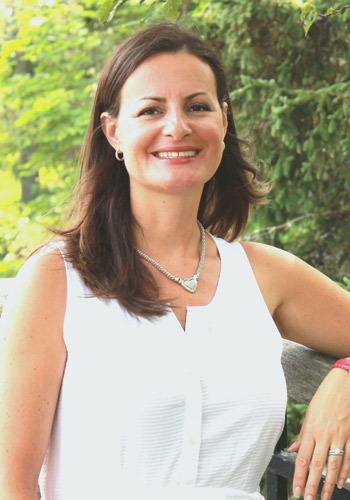 Dr. Tonya hails from Newfoundland and loves her home province and its laid-back, family-oriented feeling. She has three young children and spends most of her free time being present in their lives. Her whole family is adjusted regularly. Dr. Tonya received regular chiropractic care throughout her pregnancies and has adjusted her children since they were born. Are you wondering what our team may be able to do for you? Contact us to take advantage of $25 off all services for new patients!